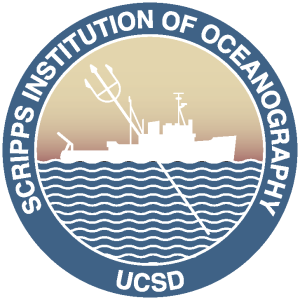 The University of California at San Diego and the Scripps Institution of Oceanography led the development for the NSF Ocean Observatories Initiative and the OOINet cyberinfrastructure. The OOINet infrastructure continues to operate although the name has been changed to SciON or Scientific Observatory Network. SciON will continue to serve available data although the breadth and volume are being increased to include data from the NSF EarthScope and, in particular, data from the Transportable Array. The DFC engineering data team is led by Drexel University with the involvement of the Applied Informatics Group and the Metadata Research Center. 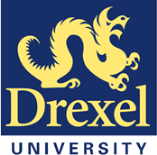 Drexel maintains the CIBER-U wiki to support engineering education as well as other repositories of engineering data. Additionally, they maintain an online file format registry for storing metadata and sample files relevant to engineering, and services to automatically identify and convert common CAD file formats. The Metadata Research Center oversees the development of the HIVE (Helping Interdisciplinary Vocabulary Engineering) linked open data, ontology software. HIVE allows for dynamic, automatic indexing using multiple ontologies. The software that powers each of these components as well as the interface layers that integrate them with the DFC iRODS software platform are all made available under open source licenses. The DFC Hydrology team is led by the University of Virginia, in collaboration with the Institute for the Environment at the University of North Carolina at Chapel Hill, the Renaissance Computing Institute, and the NOAA National Climatic Data Center. A data grid will link data sets from federal and academic data providers. That data is used as inputs to hydrologic analysis workflows created by researchers at the University of Virginia. The repeatable and easily modified workflows accelerate execution of “what if” hydrologic analyses and the progress of our research. The Temporal Dynamics of Learning Center is a national collaboration in Cognitive Science, composed of a Network of Networks of researchers. Each network is focused on one of four research themes: SensoriMotor Network, Social Interaction Network, Perceptual Expertise Network, and Interacting Memory Systems. Team members include researchers from UC San Diego, Rutgers University, Vanderbilt University, UC Berkeley, University of Colorado, the Salk Institute, Queensland University, University of Vitoria, Brown University, Carnegie-Mellon University, University of Pennsylvania, and San Diego State University. The iPlant Collaborative is a national cyberinfrastructure to enable basic and applied biological research and to train the next generation of scientists in its use. iPlant will achieve this by democratizing access to world-class compute resources, encouraging innovation through collaboration and federation, and fostering growth of the scientific community’s computational abilities. Researchers and educators use and extend iPlant’s foundational cyberinfrastructure to understand and ultimately predict the complexity of biological systems and their dynamic nature under various environmental conditions, thus stimulating the transformation of how the life sciences community does research. The DFC Social Science team is led by the Odum Institute at the University of North Carolina at Chapel Hill. Working with the DataNet Federation Consortium, Odum will design a social science data grid to connect the Dataverse Network with the DFC’s national infrastructure. This will provide DFC users access to the wide range of social science collections archived in the Dataverse Federated Network and provide a preservation environment for these important studies.